Any idea what could be happening? I am using i3wm. 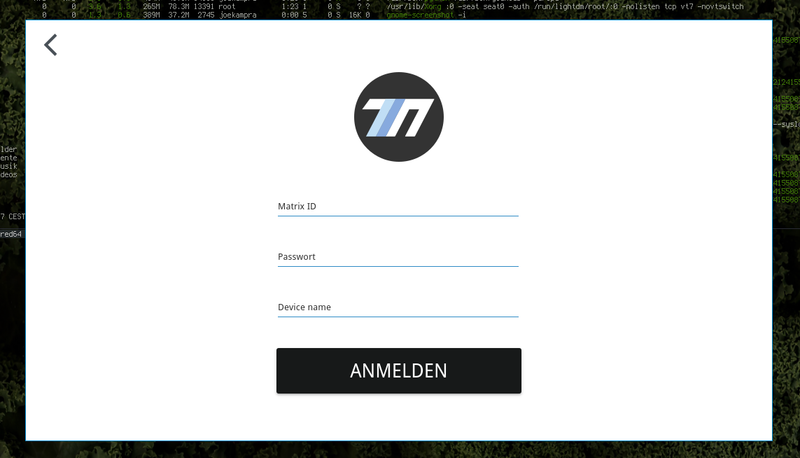 qt5ct is basicly to match your gtk to qt5 . add QT_QPA_PLATFORMTHEME=“qt5ct” to your /etc/environment , you also probably got some qt5 settings of qt5ct to choose theme to use. dont know what kinda program it is? looks as other issue? @ringo32 I am sorry, but I don’t know what you mean by your post. adding that environmental variable does not help the issue. you have to launch qt5-settings and select theme if that does not start te program then some rule set is wrong i gues? I do have a theme selected in qt5 settings. The issue arised with the newest updates from antergos. @markoff Is it possible to downgrade those updates? Did you view history in the update manager and try to figure out which updates messed it up? @markoff Sorry to hear that. When i break something and it’s usually my fault because i can’t leave well enough alone i end up reinstalling. But, i always learn something in the process! did you rebuild the package since also relies on cmake etc… ? @ricklinux But in this case it is not my fault. It has to do with Antergos. Antergos users are having this issue, Arch users are not. One idea is to remove antergos and just go with pure Arch. The solution there doesn’t fix it for me though, possible because I am using i3? I should try to rebuild that package since its from Aur. Thats also a basic aur rule, even you use pure arch. but every update it can be back. if you not rebuild package you dont know, sometimes a package need a rebuild if something is changed. thats currently i set my cent on if on other packages qt5 works on theming. rebuild can fix some stuf. I already rebuilt the package and it didn’t help. reminder: AUR builds are not official packages, this are buildinstructions provided by users. @markoff Sometimes when it’s already broken the fix isn’t going to fix it. Been there done that! @joekamprad, fractal doesn’t support E2EE while nheko does. Also, I think it’s important to note that it was an update that broke nheko and only antergos users are experiencing difficulties. So it’s not nheko’s fault, because if it was arch users would also experience it. the problem at Antergos with qt5ct was that it was used under KDE/plasma, where it should not be used. Under i3-wm it is recommended to be used to configure Qt-style. i see you’re using firejail with it. have you run it without firejail?